These days, everybody wants to be Tesla, so badly that the term “Tesla-fighter” has become journalistic shorthand for any high-range, high-power electric car (most of which are still just concepts). For example, at the Frankfurt Motor Show, Porsche just unveiled its Tesla-fighter, the Mission E (concept), with twin electric motors, over 600 hp, four-wheel drive, an estimated 0-to-100 km (62 mph) time of 3.5 seconds, a very quick-charging system, and above all, an all-electric range of up to 310 miles. 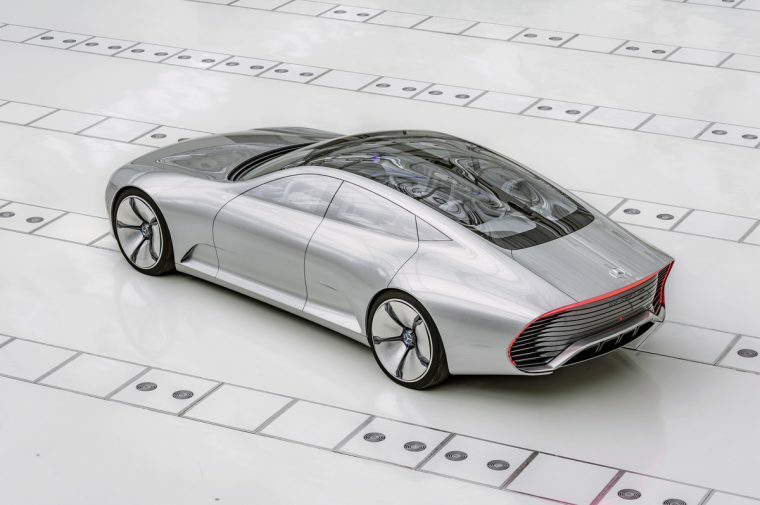 Mercedes-Benz also used Frankfurt to show off its Tesla-fighter, the Intelligent Aerodynamic Automobile (concept), which is planned to have the about the same range as the Porsche. 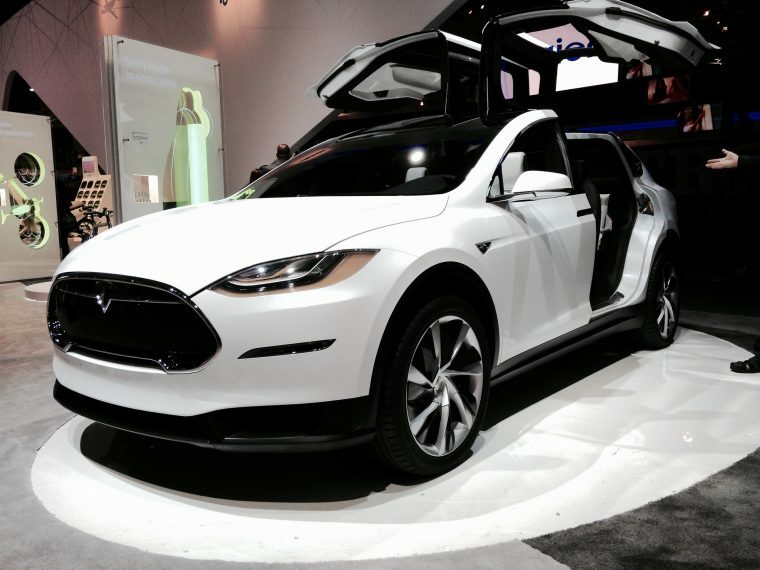 Meanwhile, Tesla is gearing up to finally release its new Model X crossover with its P90D model already boasting an EPA-estimated 250 miles of range (10 miles more than original estimates). Some speculate that, if Tesla releases a non-performance model like it did with the Model S, the Model X will have even longer range. 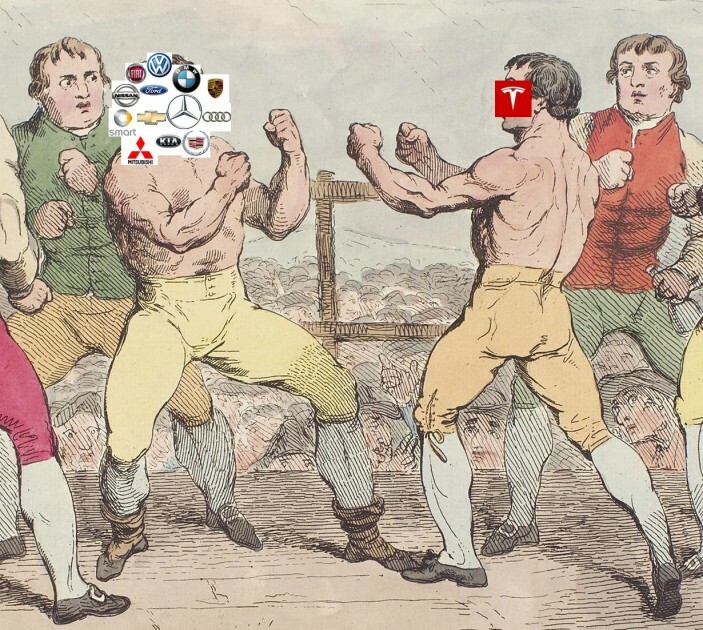 Closer on Tesla’s heels than Porsche and Mercedes, though, is Audi. Audi has been working on its own electric powerhouse (apparently seriously called the Tesla fighter internally) since January last year: the Q8 e-tron (not a concept) to be released in 2017. The Audi is estimated to have a 370-mile range with four-wheel drive. 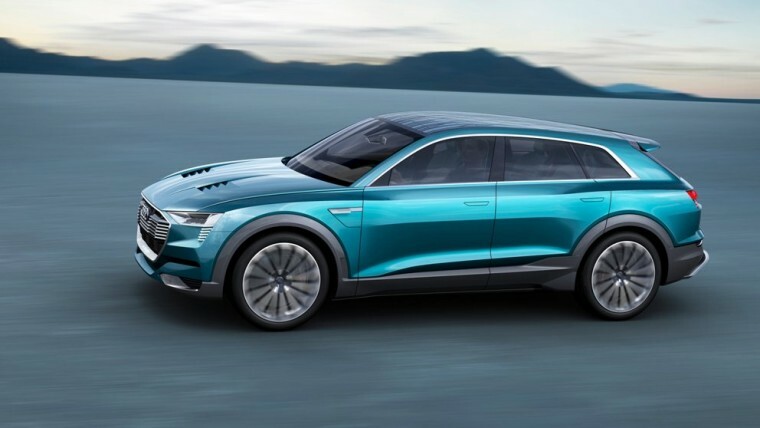 Audi also came out at the Frankfurt Show with its concept for another electric competitor in the e-tron Quattro, a 300-mile-range, solar-panel-equipped SUV. On top of that, news is pouring in about Thunder Power, a company coming out of Taiwan with an all-electric sedan promising up to 429 hp and over 400 miles of range, and with plans to expand to crossovers, SUVs, compacts, etc. This comes right next to news of an electric-car startup in China called NextEV Inc., which is hoping to do what Tesla is, only priced for the mass market. 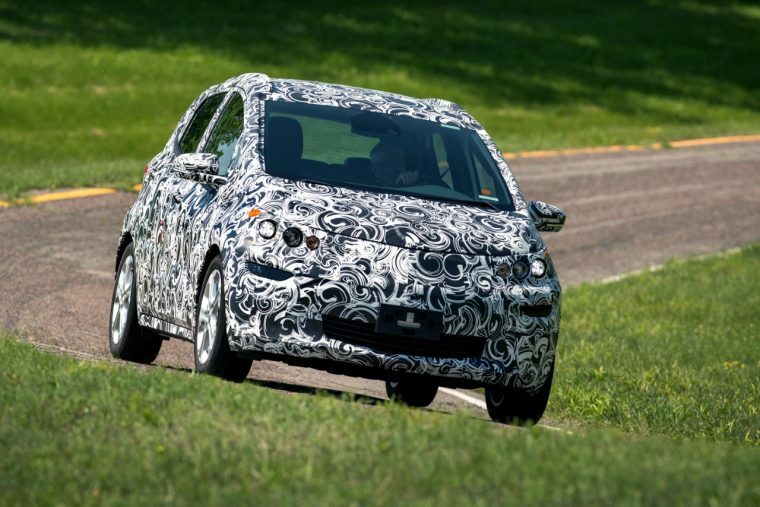 Really, it looks like the race is on to produce the best high-quality, high-range electric car. However, Tesla has an enormous lead. In addition to its already successful and extremely high-rated Model S (which has literally the highest rating ever given by Consumer Reports), Tesla has its expansive Supercharger network, which is free to Tesla owners. It is even working on in-home chargers which you don’t even have to plug in, because it will do it for you. Other charging stations aren’t free, and, if you tried to go cross-country using non-Tesla stations, you would run into some real trouble as you passed into the western half of the US (as shown in a study by the US Department of Energy’s Alternative Fuels Data Center). So, it seems that, when it comes to the American market, Tesla is bounds ahead of its competition, especially if Tesla comes out in 2017 with its promised $35,000 Model 3 sedan with a promised base range of 200 miles. Taken all together, Tesla already seems years ahead of its competition. So what are all the other electric car manufacturers (of which there are many) to do? There is the obvious, of course: develop and produce something to compete with Tesla’s fleet directly (like GM has been working on). Or, an option open especially to BMW, Audi, and Mercedes-Benz is to concentrate their electric efforts in Europe. According to Bloomberg, with the exception of the Netherlands and Norway, Tesla is way behind in Europe’s biggest car market, Germany, with BMW’s i3 outselling the Model S by more than 30%. With the German market only slowly accepting Tesla and other American electric cars, the time seems ripe to strike, especially since Tesla’s sale of the Model S in the first half of this year is still 75% higher than last year, indicating a developing foothold. 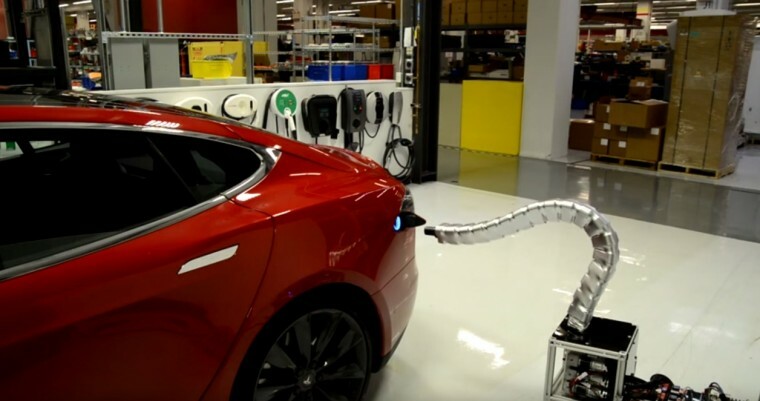 As the electric market develops to compete in a world of dropping gas prices but also vastly improving technology, it could still be anyone’s game, but if Elon Musk is smart (and he is, despite some people criticizing his comment that we could nuke Mars to warm it up for human habitation), then he will concentrate hard on developing his more affordable Tesla before the rest of the industry catches up to him.